Google Releases new Webmaster Tools Features! Google makes SEO easier with some new features added to Webmaster Tools! Very useful to see if you’re doing SEO the right way (just sort your results by their Average Position in SERPs), or if the period for a search term is not the right one (to be compared with Google Insights). You can take a look at the impressions count change, to see if you can get some more visitors from Search Engines for a certain Keyword on which you should focus on because it is trending right now. Otherwise you can just leave the SEO work you’re doing on some key words because it is no more a trend! That’s not all, we’ve not finished yet! There’s more for web developers! You probably didn’t notice it, but if you take a look at the “Site configuration” > “Settings” > “Parameter handling” tab in your Webmaster Tools, then you’ll notice that you can now decide what parameters google should use for your urls containing GET parameters! Great, I’ll no more get duplicate content from wrong in-site-search results being crawled by Google! This entry was posted in Google, Search Engines, SEO and tagged Google, Seo, SEO Tools, SERP, Web Development, Webmaster Tools. Bookmark the permalink. 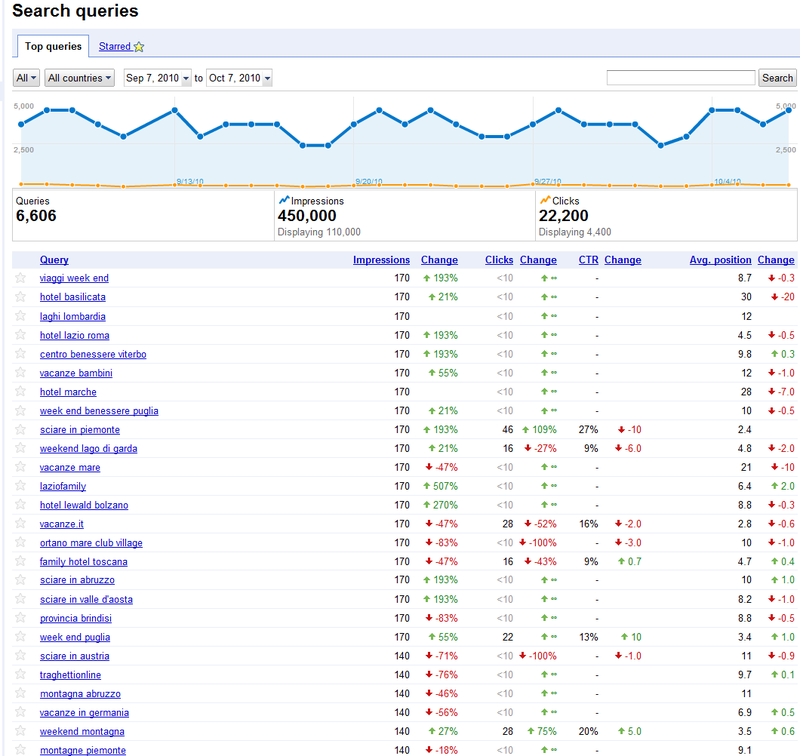 5 Responses to Google Releases new Webmaster Tools Features! I know this post is more than a year old, but since there’s still no way to access the data without the zend package, i’ve written a simple PHP class that doesn’t require any 3rd party libraries/packages. Just download the class, enter your login details and you can download the top search query data, as well as the top pages data, as csv automatically. Rewriting it is probably an overkill, don’t you think? Hi i still can’t see the screen you see….can u update this article with the 2012 version please? Do u know if something changed?